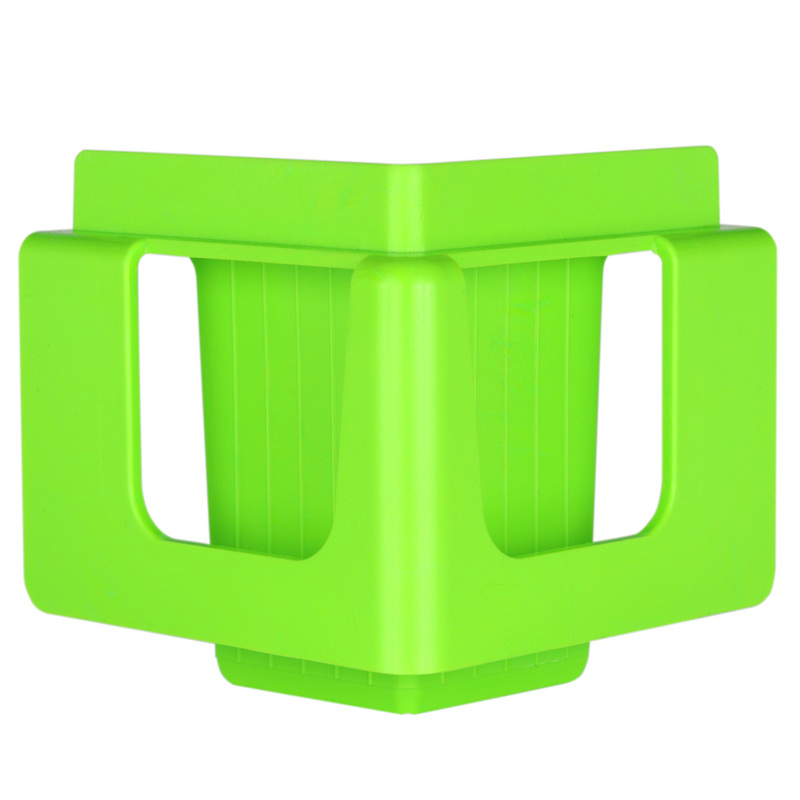 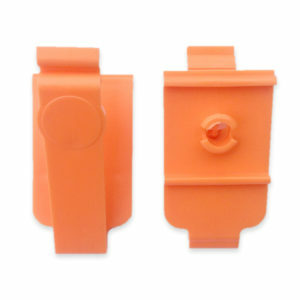 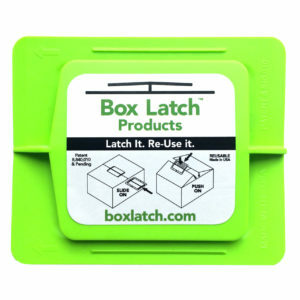 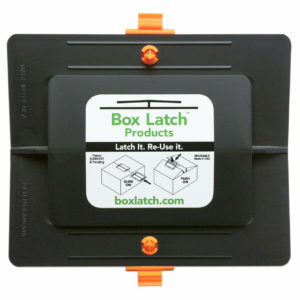 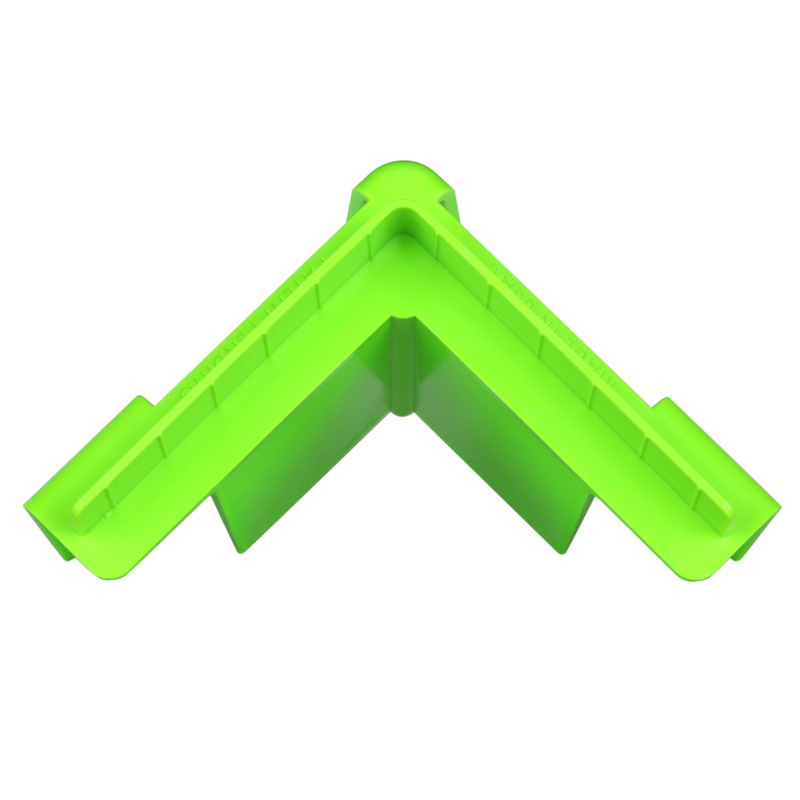 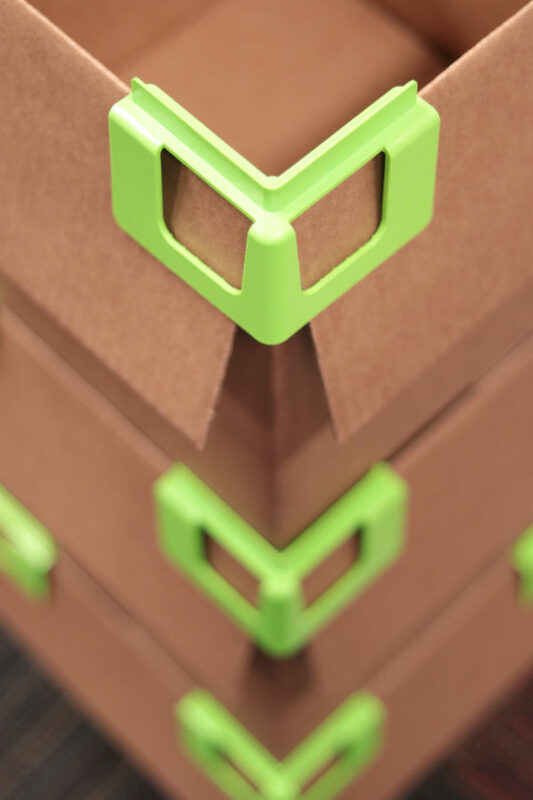 Effective October 2018, the patent pending, Box Latch™ Corner Clip is our newest re-usable supply chain product. 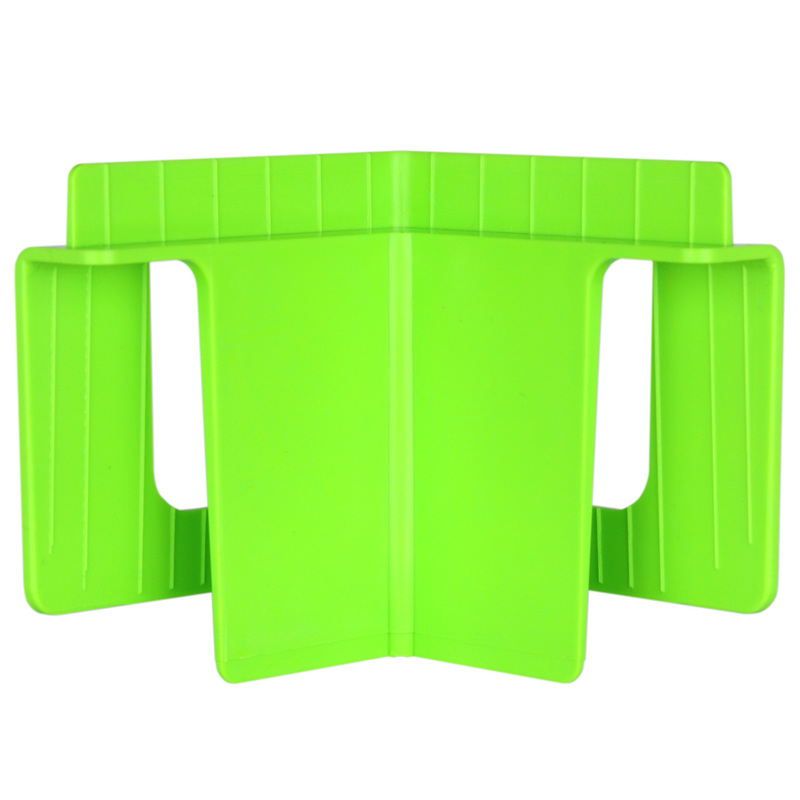 Incredibly effective when used on opposite corners to hold box flaps open and down while filling, empty or transporting contents. 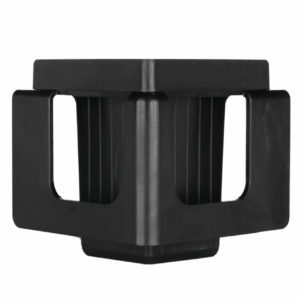 Used with one on each corner to accommodate stacking of empty or full boxes with flaps held open. 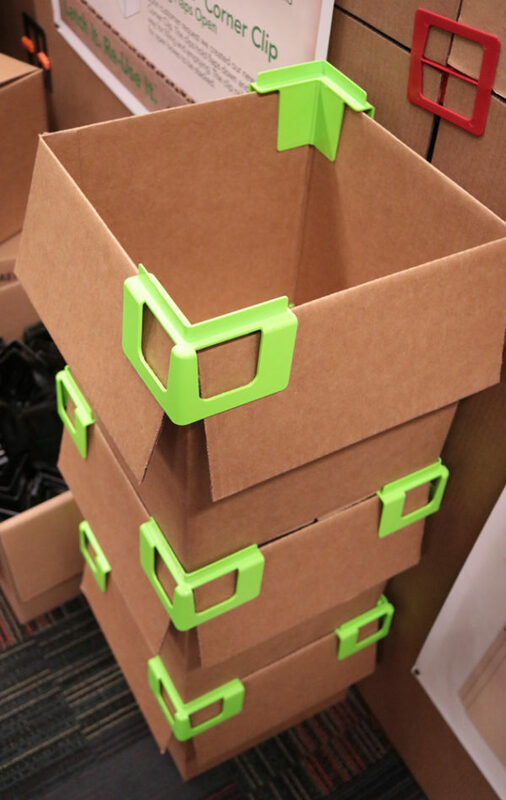 Saves tape, time and box destruction. 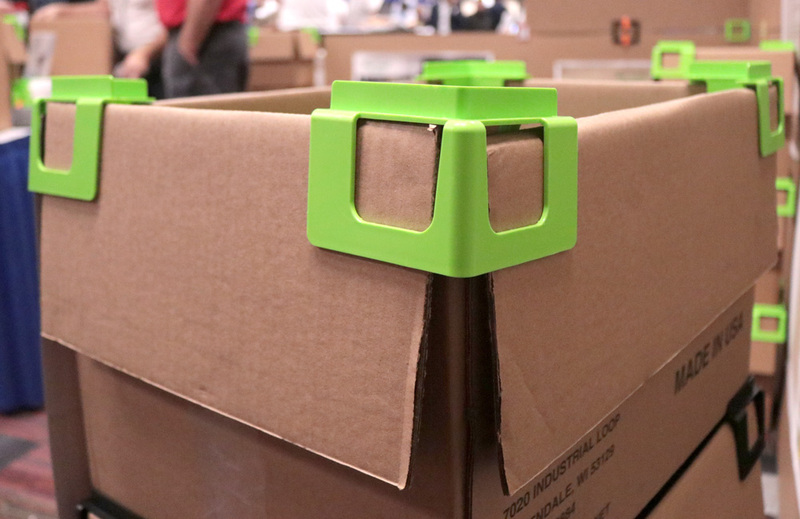 Great for the pick & pack, assembly cells, inventory management, QA inspection and many more supply chain situations.